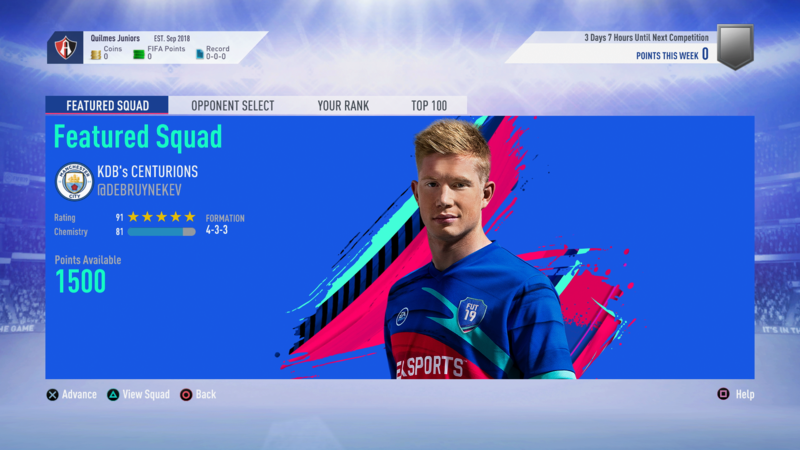 Squad Battles are one of FUT 19’s marquee single-player modes. They refresh often, and give players a chance to earn great rewards and FIFA Coins. They can be a little tricky to get your head around initially, which is why we’ve pulled together this FIFA 19 Squad Battles Guide. 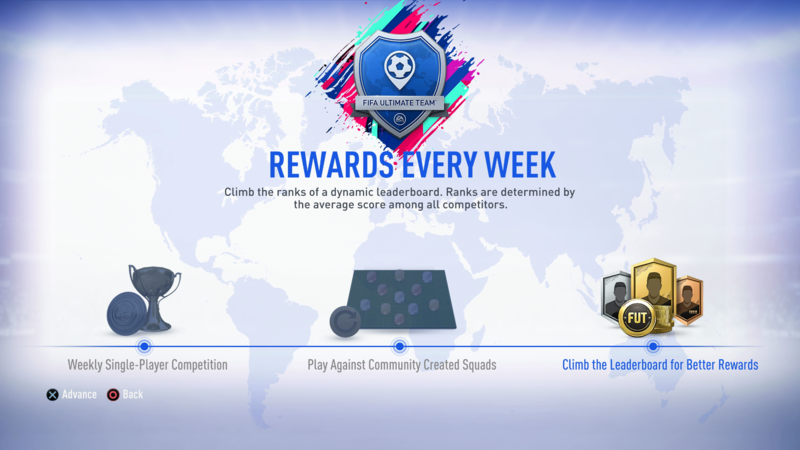 It covers what Squad Battles are in FIFA 19, what rewards you’ll get for completing them, and a look at how to get the most points every week. We’ll also take a look at why you should consider playing Squad Battles at a higher difficulty, thanks to the difficulty Multipliers involved. For more on FIFA 19, be sure to check out our FIFA 19 Guides hub. It covers FUT 19, FIFA 19 The Journey, as well as Career Mode. Should You Play FUT 19 Squad Battles on the Highest Difficulty? 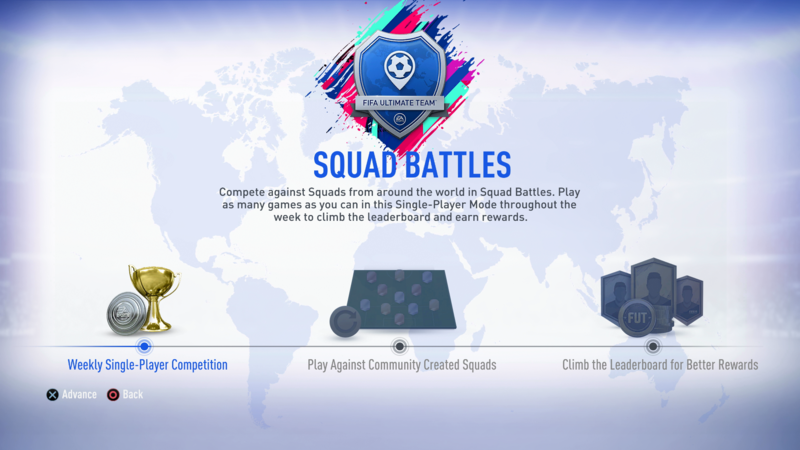 FIFA 19 Squad Battles is a single-player, offline game mode where you pit your Ultimate Team against the squads of community members. It is a great way to earn rewards and FIFA Coins, with the challenges refreshing regularly. 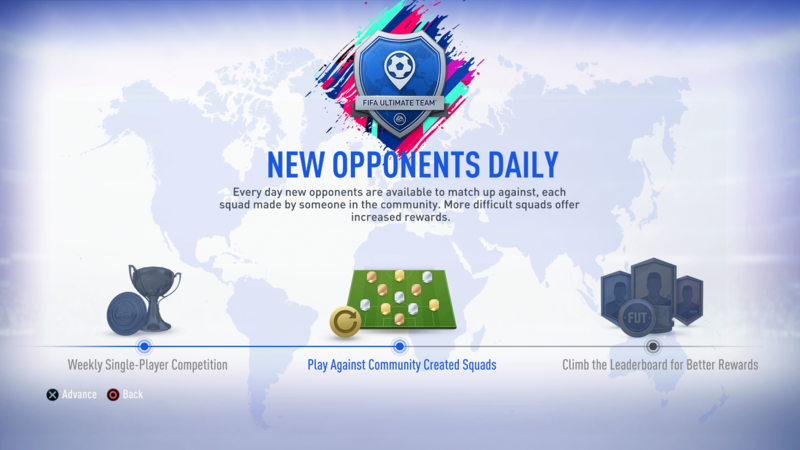 You can play as many Squad Battles as you want per week in FIFA 19, though you’re still limited to four squads per day. As you play, you earn points which will place you on a global leaderboard. At the end of each week, you’ll earn rewards based on where you rank compared to everyone else, with rewards improving the higher up you rank. As well as the weekly rewards, you’ll also earn FIFA Coins as you play, making it a good place to invest your time while playing FUT 19. The points earned per game depend on a number of factors (more on that later), and higher difficulties will add multipliers to each game. So now that you know what Squad Battles are in FIFA 19, let’s take a look at the rewards and ranking that you’ll be coming across while playing. At the end of each week, you points for matches played will be totalled and you’ll be placed in a ran. There’s a range of ranks that you can place in, with rewards getting better the higher up you go. We’ve listed all of the FUT 19 Squad Battles Ranks and rewards below. It’s worth noting that while there are certain point thresholds for each rank in FUT 19 Squad Battles, they change week on week depending on how everyone else does. There are plenty of factors that determine the amount of points you get after a match. One of the most important is the difficulty that you completed the match on, with harder difficulties resulting in higher points multipliers being applied at the end of each match. We’ve listed each difficulty alongside its respective points multiplier below, so that you can see if it’s worth upping the challenge a bit. As well as difficulty, there are other factors that will count towards how many points you get at the end of a game. We’ve listed them all below, along with a brief explanation of what to expect. As a baseline, you’ll get 200 points for winning a Squad Battle match, and 50 for losing. You can’t draw. You’ll get points for completing a match. The amount is based on the Team Chemistry and rating of the team you’re playing against. Once you’ve received points for the actions described, you’ll also receive bonus points. These bonus points are awarded for doing certain actions during a game. We’ve listed these bonus point earners below, so you know what to focus on while playing. Given that playing Squad Battles on a higher difficulty applies a higher multiplier, you might be tempted to crank the difficulty up to legendary to earn more points. This is not the best idea, because playing at higher levels only multiplies the points you earn, it doesn’t grant you more points. If you perform poorly against a legendary team, you’ll have very few points to apply the bonus to, so you’re better off sticking to your skill level. Every now and then, EA will add featured squads to Squad Battles. These are specific challenges based around a particular player, and offer a fixed amount of points as a reward. They’re worth taking on, but be aware that they usually involve teams with 5-star ratings and high Chemistry.